I've been having a lot of talks lately with lady friends that are extremely disappointed in our generation of men ... myself included. From wage gaps to cheating spouses, the real, true, good man is increasingly rare. It's just true. So women are settling all over the place. But we shouldn't, as this piece of street art from Wrdsmth reminds us. 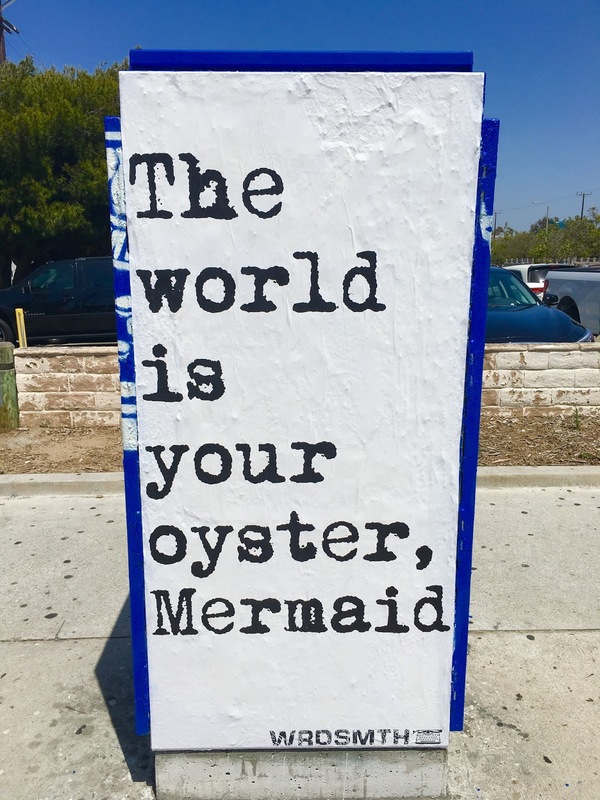 The world IS our oyster! We all love mermaids, and every little girl has imagined herself as one at one point. It's a dreamy notion, of swimming along, happy and freely in an underwater kingdom, where maybe things are easier. 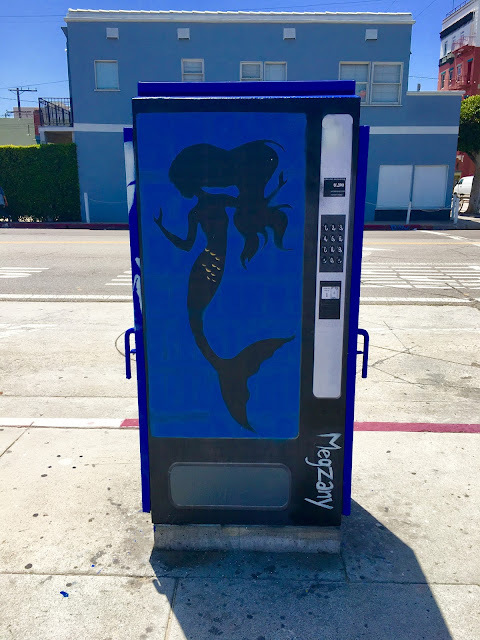 I remember watching The Little Mermaid in my college Cinema class, and our Professor being outraged at Disney that they would promote such an anti-feminist message as a Mermaid giving up her beautiful singing voice to get legs to go on land and hook up with a Prince. What a terrible notion to put in a little girl's head, right? But I see it happening all the time. Women giving up their dreams and special talents in order to make her man happy, but growing less and less happy herself with every day that goes by. Don't. The flip side of this utility box has a mermaid vending machine painted by Megzany. It's great. It made me think of the awesome Anais Nin quote, "I must be a Mermaid. I have no fear of depths, and a great fear of shallow living." Then I too must be a Mermaid. Happy Weekend, Mermaids! Go get it.